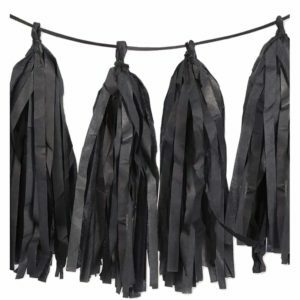 Bring a touch of class to your event, with this black tissue garland. Ideal for decorating any celebration! 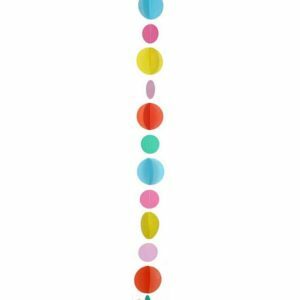 This coloured garland measures 2.74m (9ft) in length. 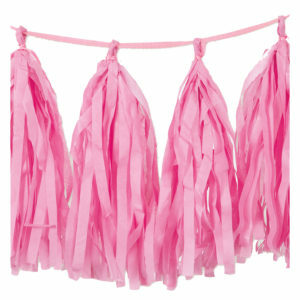 Bring a splash of colour to your event, with this vibrant hot pink tissue garland. Ideal for decorating any celebration! This brightly coloured garland measures 2.74m (9ft) in length. 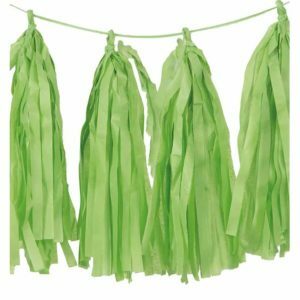 Bring a splash of colour to your event, with this vibrant lime green tissue garland. Ideal for decorating any celebration! This brightly coloured garland measures 2.74m (9ft) in length. 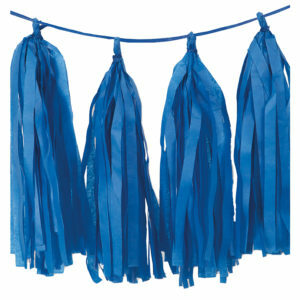 Bring a splash of colour to your event, with this vibrant royal blue tissue garland. Ideal for decorating any celebration! This brightly coloured garland measures 2.74m (9ft) in length. 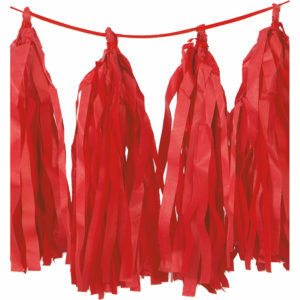 Bring a splash of colour to your event, with this vibrant rubyb red tissue garland. Ideal for decorating any celebration! This brightly coloured garland measures 2.74m (9ft) in length. 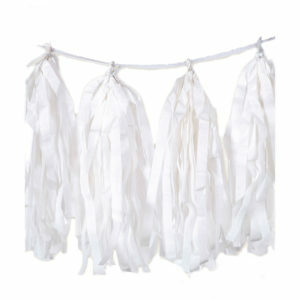 Bring a touch of class to your event, with this classic white tissue garland. Ideal for decorating any celebration! This tissue garland measures 2.74m (9ft) in length. This balloon tail will provide a unique and interesting finish to a decorative balloon. 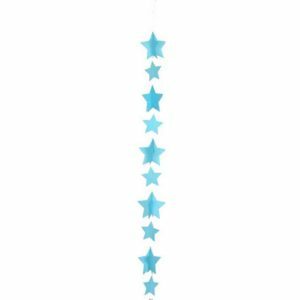 The tail is made up of blue stars, so is perfect for many occasions, from baby showers to birthdays. All you have to do is simply attach the tail to the balloon like you would with a piece of ribbon! Supplied individually. This balloon tail will provide a unique and interesting finish to a decorative balloon. 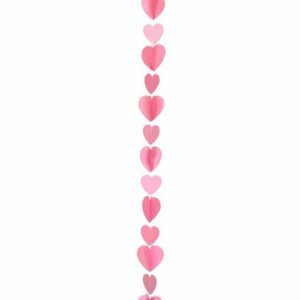 The tail is made up of pink hearts, so is perfect for many occasions, from baby showers to Valentine's day. All you have to do is simply attach the tail to the balloon like you would with a piece of ribbon! Supplied individually. This balloon tail will provide a unique and interesting finish to a decorative balloon. 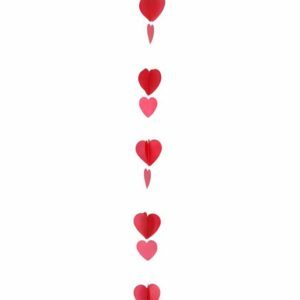 The tail is made up of red and white hearts, so is perfect for many occasions, from anniversaries to Valentine's day. All you have to do is simply attach the tail to the balloon like you would with a piece of ribbon! Supplied individually. This balloon tail will provide a unique and interesting finish to a decorative balloon. The tail is made up of teal, green and purple circles, so is perfect for many occasions, from baby showers to birthdays. All you have to do is simply attach the tail to the balloon like you would with a piece of ribbon! Supplied individually. This balloon tail will provide a unique and interesting finish to a decorative balloon. The tail is made up of blue, pink, yellow, purple and red circles, so is perfect for many occasions. All you have to do is simply attach the tail to the balloon like you would with a piece of ribbon! Supplied individually. This balloon tail will provide a unique and interesting finish to a decorative balloon. 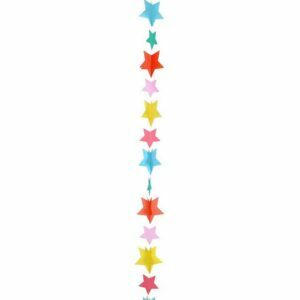 The tail is made up of blue, green, red, pink and yellow stars, so is perfect for many occasions. All you have to do is simply attach the tail to the balloon like you would with a piece of ribbon! Supplied individually.